I love planning. I love organising my diary, I like to know exactly what’s happening and where I’m going when. If I say “see you later” I’ve probably already got a good idea in my head of when that’s likely to be. So this past weekend was one I had been looking forward to for weeks, marked in the diary, the whole Saturday and Sunday blocked out, with absolutely no chance of anything getting in my way. The catch up with my fellow blondes, my journo girls, had arrived. Location this time around was Glasgow, so two of us set off from Edinburgh to join the 3rd amiga. 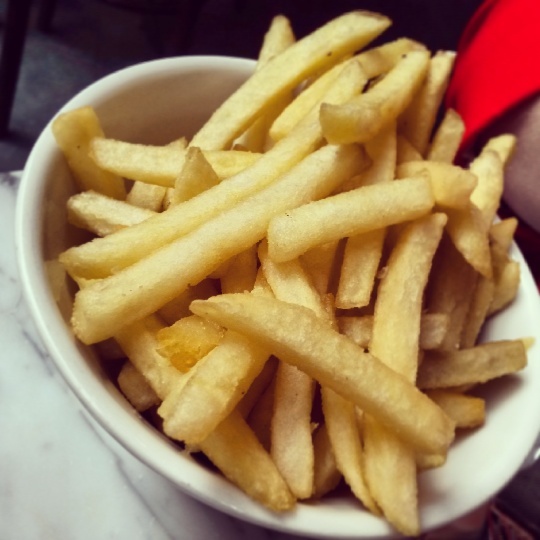 A minor exploding tyre incident on the M8 west involving two policemen and new 4 car tyres delayed our arrival somewhat, but once we got there we set about doing what we’ve always done when we are together – chatting, eating and drinking! 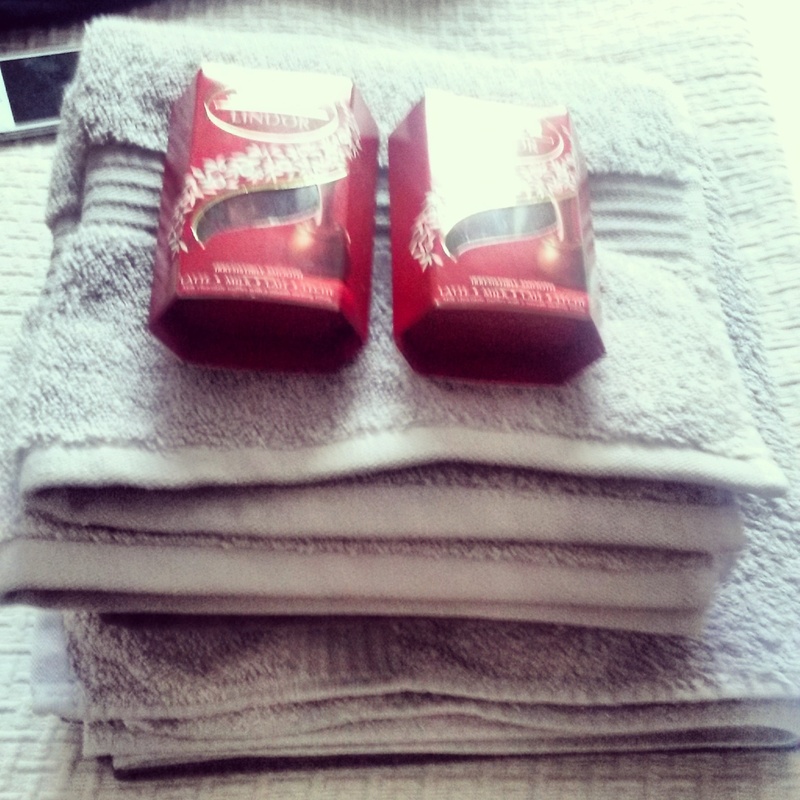 Our hostess with the mostess had the kettle on and we found these little treats in our room! I was already keen to come back! 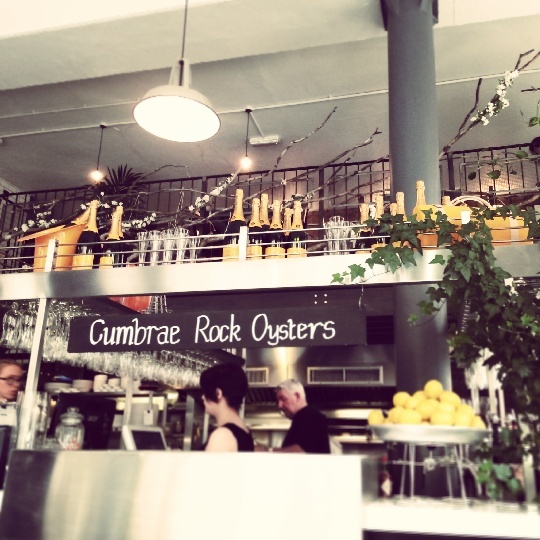 Having lived in Glasgow’s West End for four years, I am no stranger to the awesome menagerie of foodie options the city has to offer, but on this visit time I ended up trying out not one, but two new restaurants. 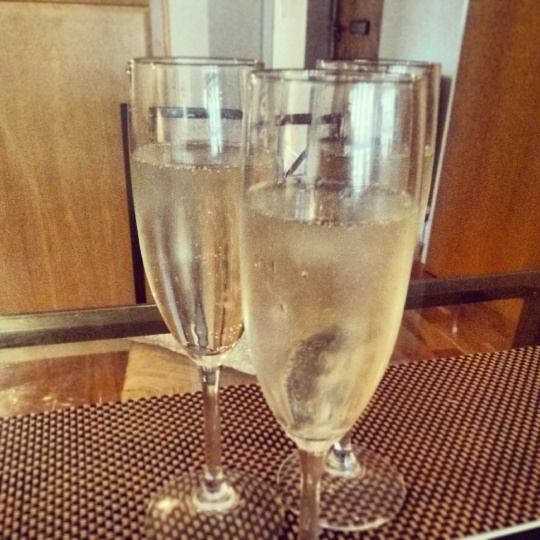 After welcome cups of tea, we turned to some fizz and nibbles and got ready to head out. 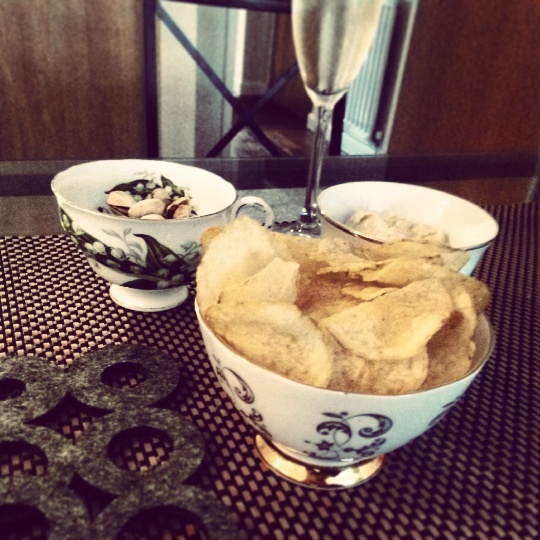 I love this idea of using cute china tea cups as dishes for nibbles. 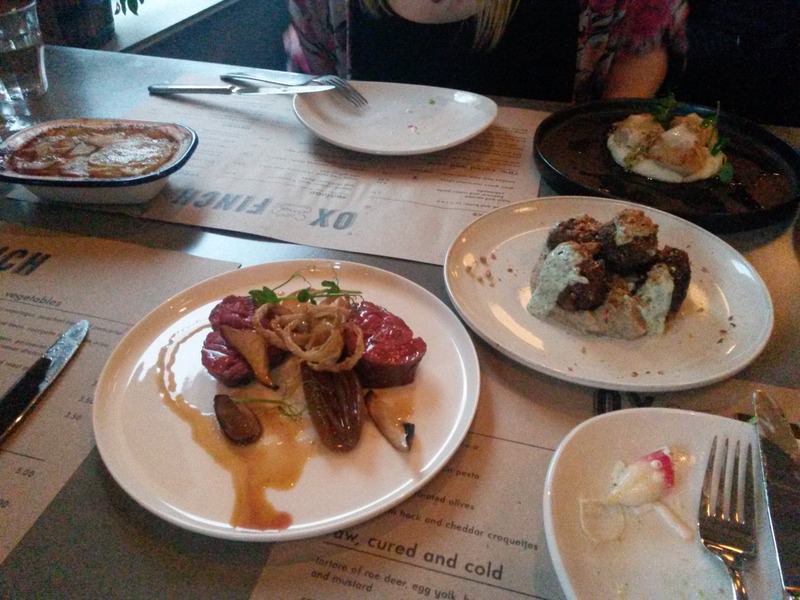 For dinner we headed to the new Ox and Finch in Finnieston, at the west end of Argyle Street. When I lived in Glasgow a few years ago, this part of town was had started to get going, and The Crabshakk was the first of the new up-and-coming restaurants that I can remember to take up residence in this surprising part of town. 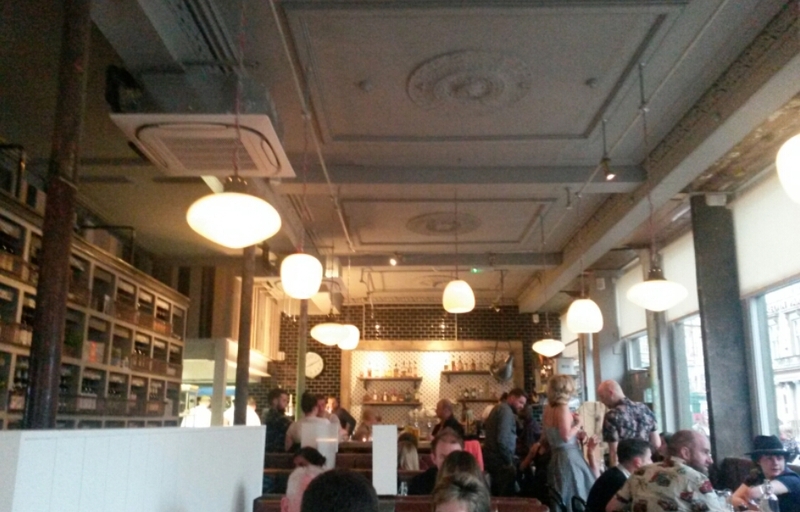 Now Finnieston is FULL of great places to eat and drink. 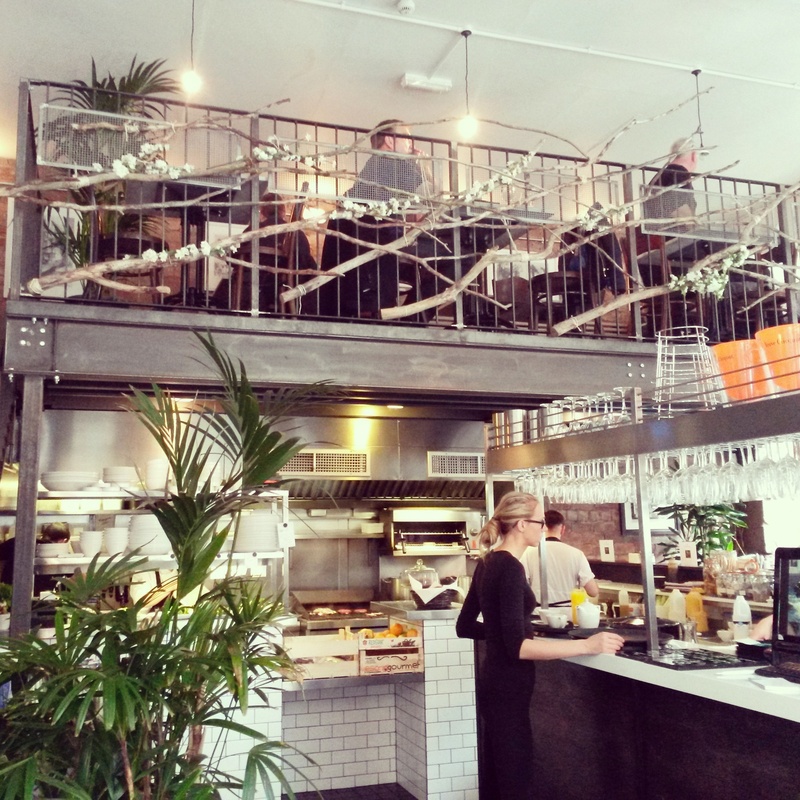 The Ox and Finch describes itself as relaxed contemporary dinning, and the menu doesn’t distinguish between starter and mains. It is a smorgasbord of sharing plates, and for three foodies like us, this style of dining is perfect. We order a bottle of wine and start to rank the menu from must -have-my-mouth-is-watering dishes to if-we-have-room close seconds. 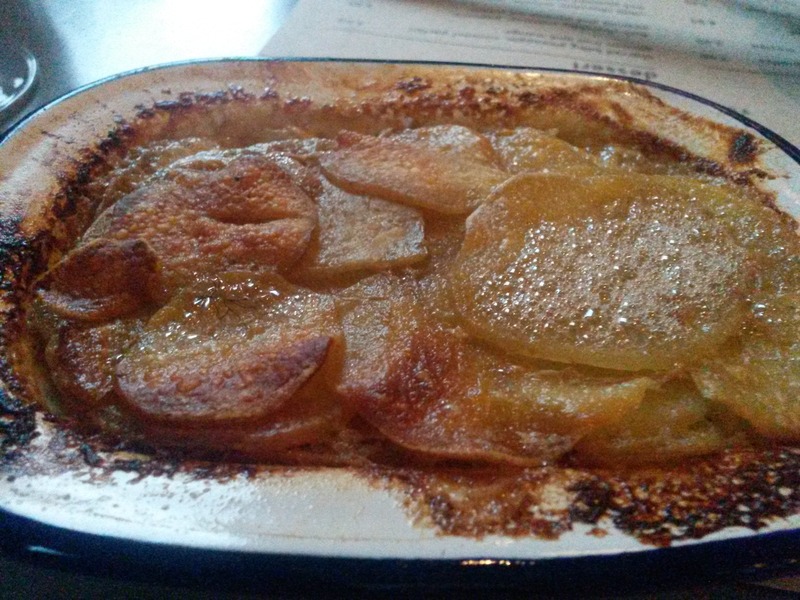 On ordering we are told that the dishes simply arrive when they are ready, unless we specify otherwise. 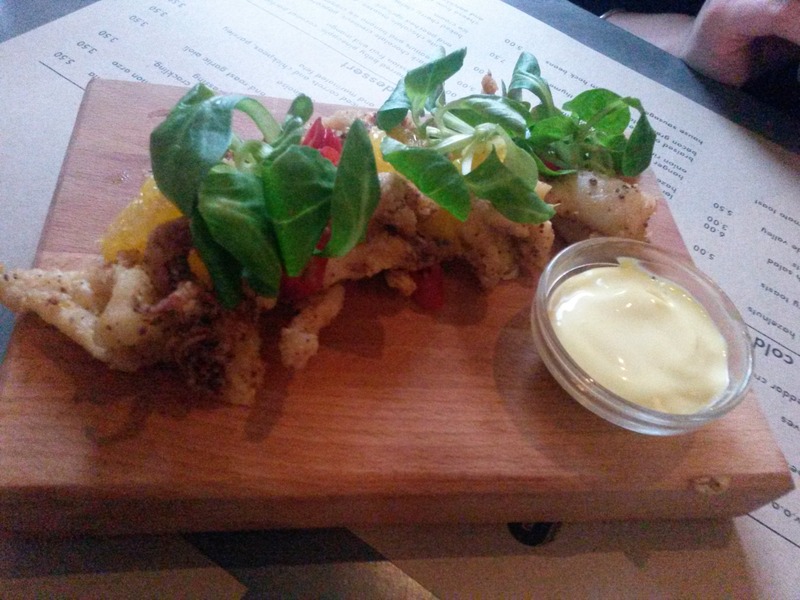 We kick off with some light and crispy fried squid – a freebie due to a mistake in the kitchen, not a mistake that bothered us! From then the dishes arrived at a steady pace. 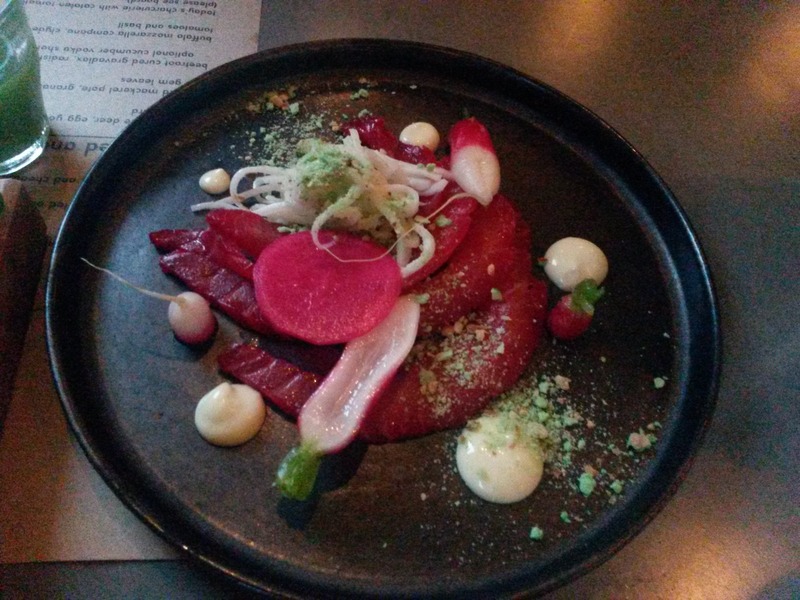 The beetroot cured gravadlax had us all in awe of the fun, bright colour, and for an extra £3 came with a shot of cucumber vodka. I was surprised at how much I enjoyed it! 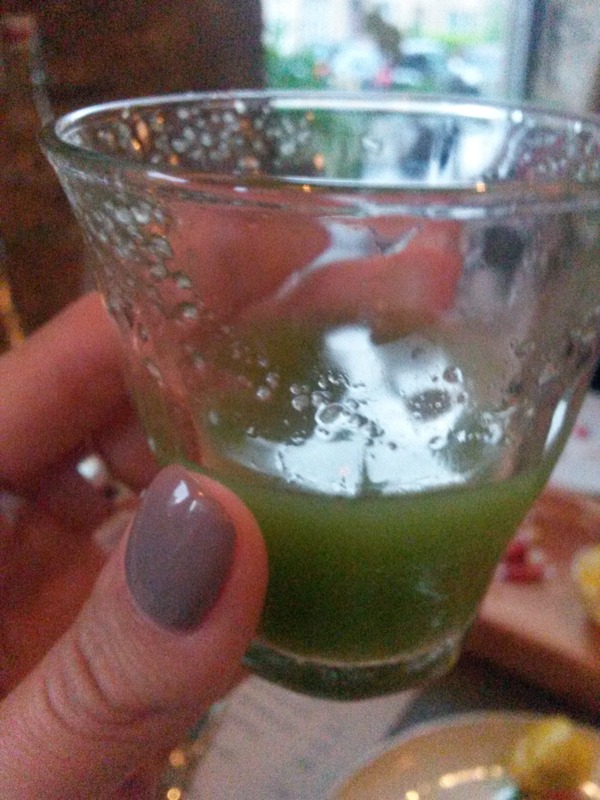 It was really refreshing and more like a cucumber juice than a shot of vodka. 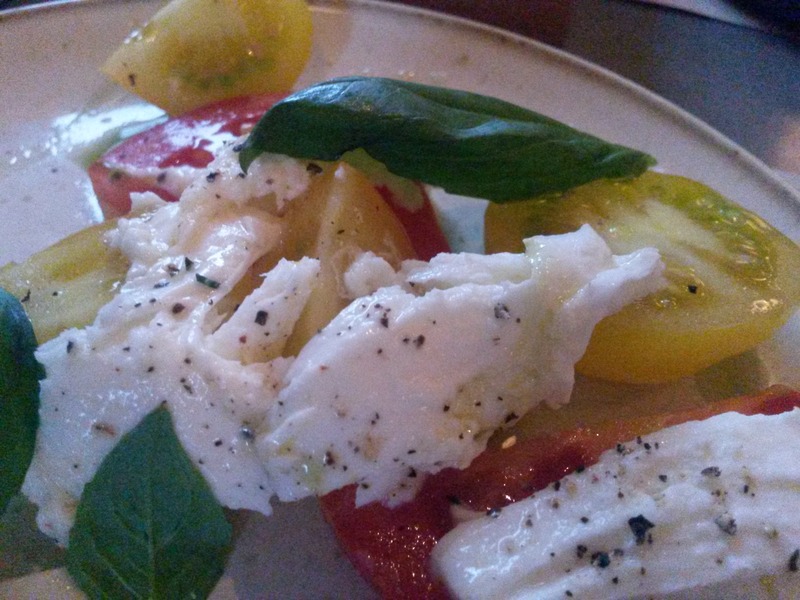 The tomato and mozzarella salad was light and creamy, so for a cheese that doesn’t often taste of much, they had done well. 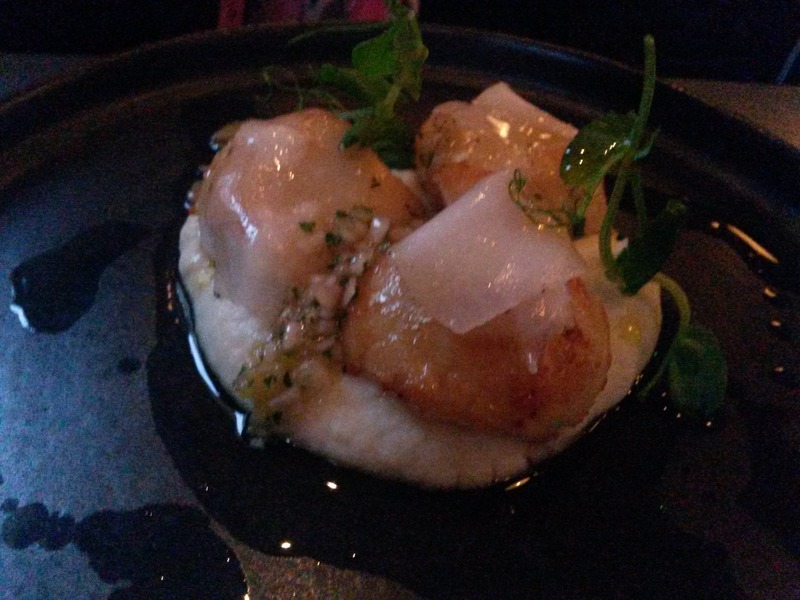 From the seafood selection we chose the scallops which were big and juicy and came on a bed of cauliflower purée. 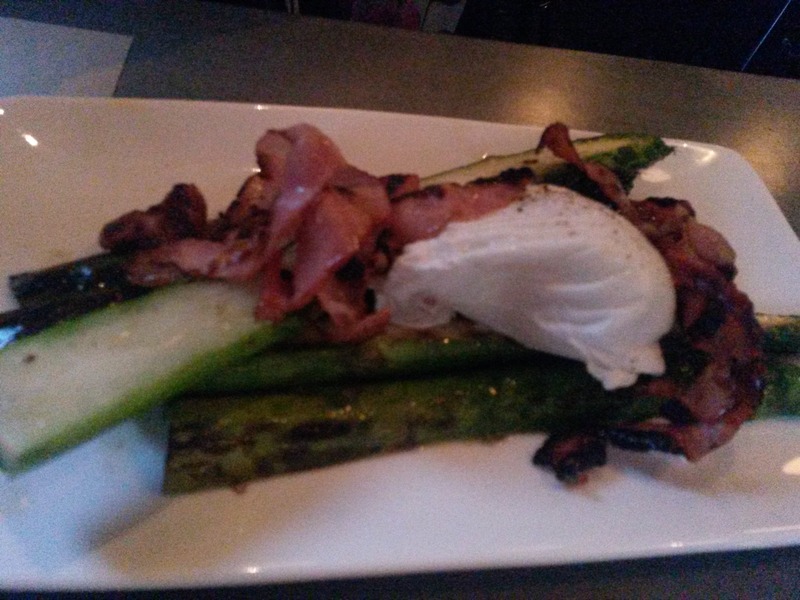 They went very nicely with the side of asparagus with a poached egg and pancetta – this dish hit the spot with us all. 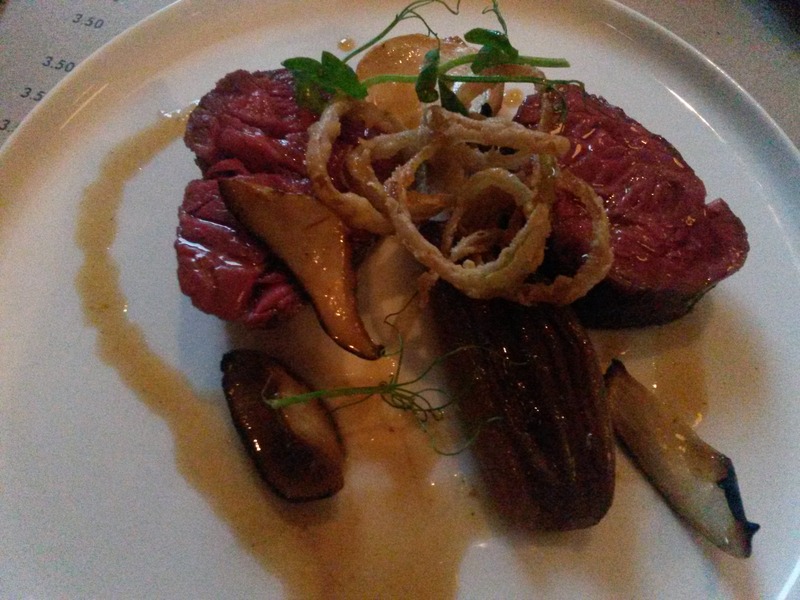 The star of the evening was the hanger steak. 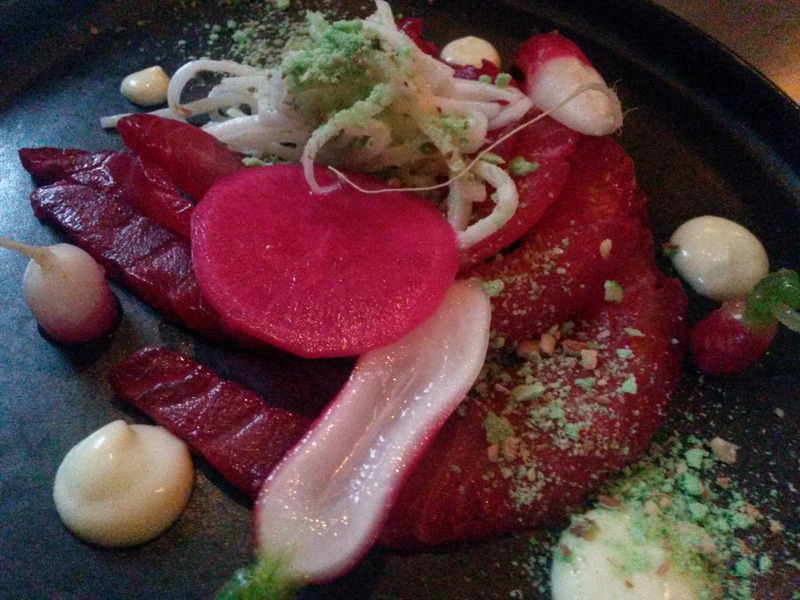 It was perfectly cooked, still really pink, and just melted in your mouth. On top were the yummiest, thinnest, lightest onion rings I’ve seen in ages. So delicious. 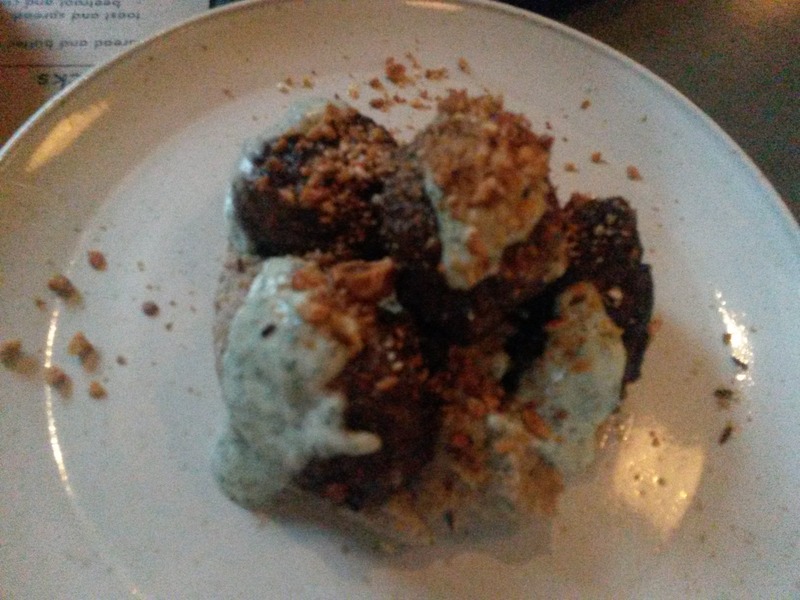 The lamb meatballs were ok, but we all agreed nothing to write home about. Room for desert? 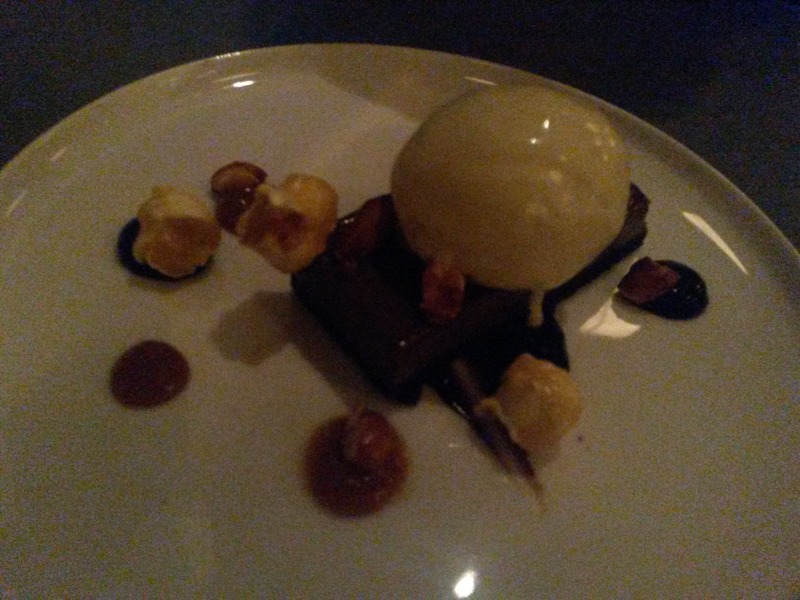 Probably not, but after a little break we decided to share the dark chocolate cremeux, which came with popcorn (nice gimmick) peanuts and banana ice-cream. I could have done with the chocolate tasting a little darker and stronger, but the banana ice cream was great. By this point we had spent so long grazing our way through the menu the sun had set and so the light is not very good in the pudding picture! Coffees followed and we moved on to a tapas bar called Rioja for another drink. Some more nattering and and after having put the world to rights and we were finally ready to call it a night. 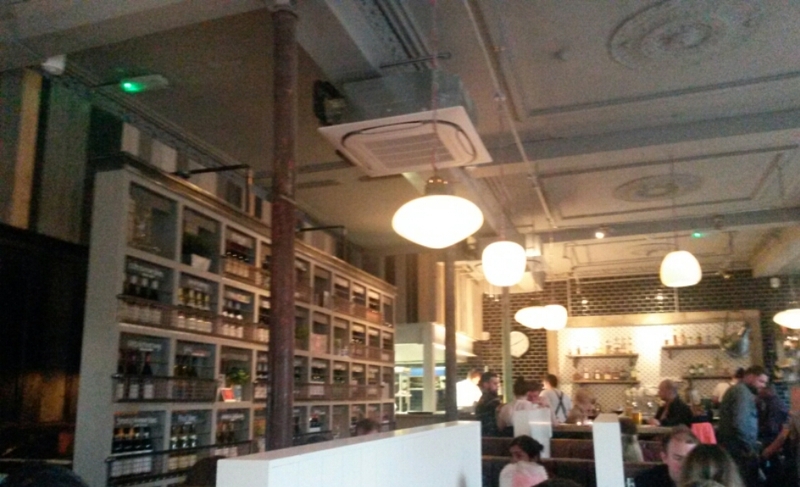 All of the above, a bottle of sauvignon blanc and two coffees came to £27 per person. We all agreed this was a really reasonable price for a yummy evening of eating. 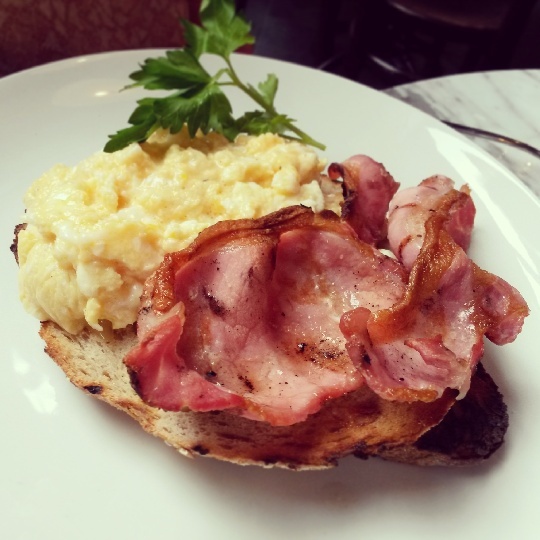 An afternoon at the shops beckoned, so we needed to fuel up! 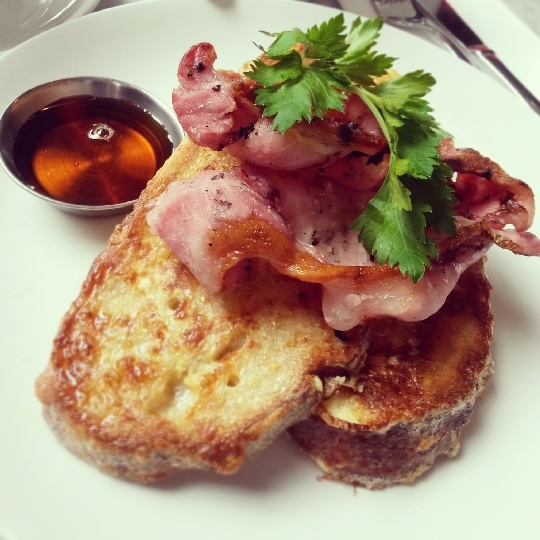 French toast and bacon with maple syrup featured, as did scrambled eggs and bacon on toast. 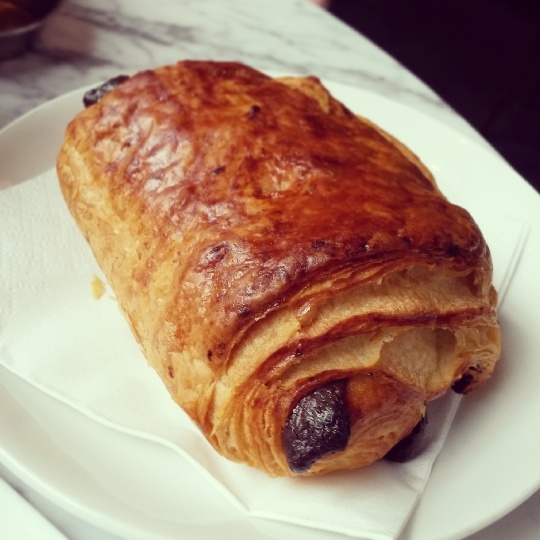 A side of chips and a pain au chocolate between us all was probably a step to far, but we did have a lot of shops to get round. After a good few hours of retail therapy, our chatter had not yet run out but unfortunately the weekend had, and it was time to say goodbye. Great girlfriends are the ones you can just pick up with where you left off after months of not being together, and I’m so lucky to have found that in my journo girls. All that’s left now is to get another date in the diary, and er, maybe go for a run once the food coma has passed! Previous City girl goes North! 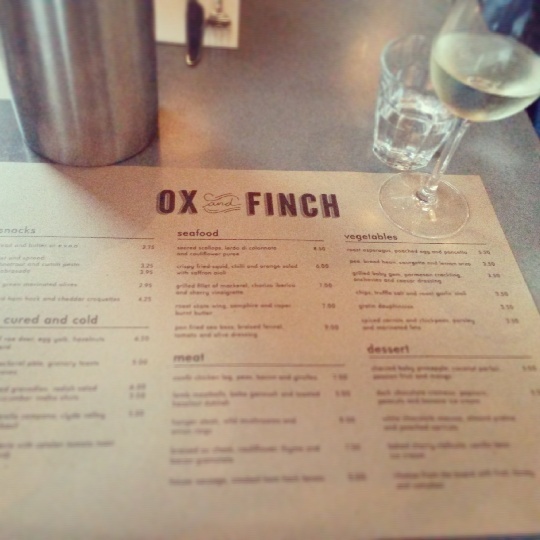 Ox & Finch is on my immediate hit list so glad you enjoyed it. Thanks for the tips-we will order the hanger but not the meatballs! Lovely. French toast looks amazing! !